A daredevil photographer, an aspiring swimsuit model, and a midwest girl next door are all looking for the same things from their Instagram accounts–– a little love, acceptance and, of course, fame–– and they’ll do just about anything to get it. 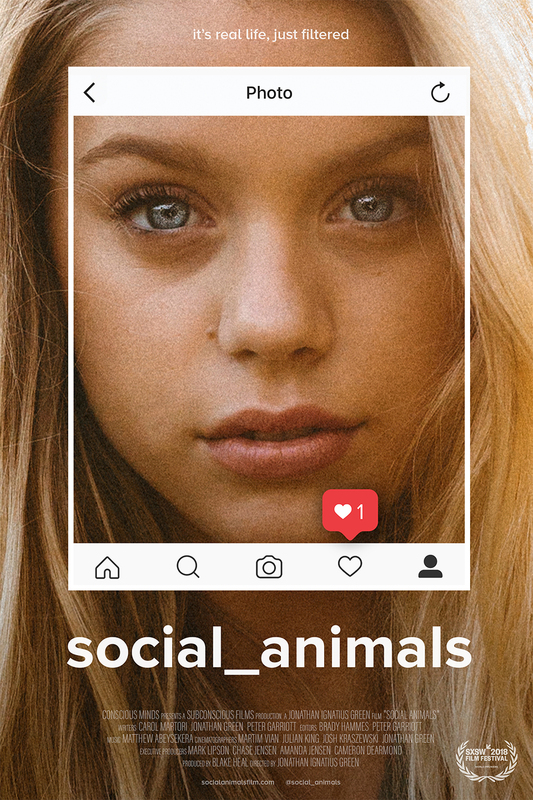 With an observational eye Social Animals peeks into the digital and real worlds of today’s image-focused teenager, where followers, likes and comments mark success and self worth. The film had its world premiere at the 2018 SXSW Film Festival in Austin and is now available on iTunes and Amazon.